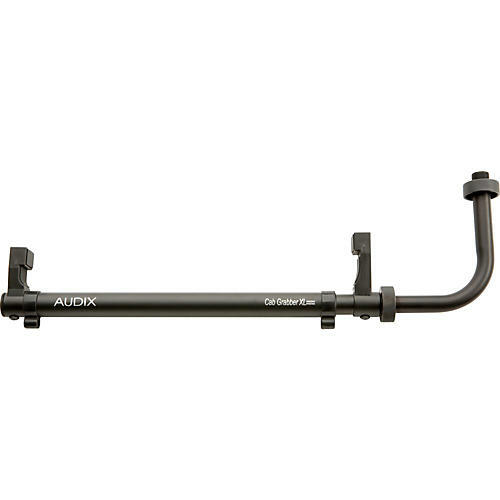 The Audix Cabgrabber XL performs the same outstanding functions of the original Cabgrabber, but is designed to work on larger amps and speaker cabinets with depths ranging from 14" to 20". This one-piece microphone mounting solution will safely and securely hold microphones weighing up to 16 ounces. Made with durable steel construction, this easy-to-use tool will clamp to the side of cabinet or over the top, and works on cabinets with flat surfaces or recessed edges. The treaded arm rotates up to 180 for precise positioning and locks firmly into place.